What is the focus of your diet? The average person doesn’t spend a lot of time thinking about what they put into their body or the relationship between diet and health. 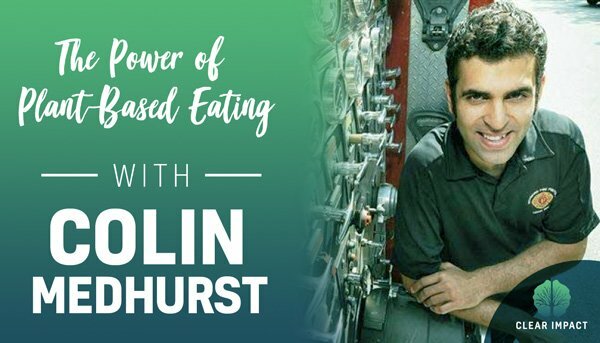 Holistic Health Coach, Cancer Guide and Master Herbalist in training Colin Medhurst talks about the power of plant-based eating. He discusses his delicious new vegan cheese shop and how you can use food to bolster your body’s own immunity to stress. Today we’re excited to connect with Colin as we chat about everything from firefighting to fermented foods. Let’s challenge some cultural norms and shift the way we think about plant-based diets. About the important relationship between diet and health. How the Blue Heron became the first vegan cheese shop in Western Canada. Why it’s important to make your kitchen a happy place. How Colin thrives as a vegetarian firefighter. Why fermented foods are the sleeper hit of the nutrition world. How Colin uses nutrition to support cancer patients during treatment. Colin’s top three tips he considers vital to an inspired way of living.